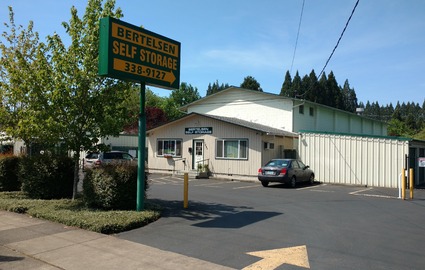 Bertelsen Self Storage is conveniently located in west Eugene, Oregon. 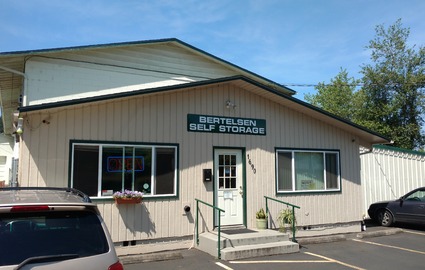 Our facility serves residents and businesses from the Churchill, Eugene, and Veneta communities, so hop onto BUS Route 36, Beltline Highway, or Lorane Highway to pay us a visit! Our office, open seven days a week, is staffed by friendly professionals who will be happy to walk you through the storage process. Did we mention that we offer a wide variety of discounts? Senior citizens and military members receive automatic discounts, and we regularly feature new specials. We’ve provided service to the area for more than 20 years, and the inviting presence of our onsite manager will help you feel right at home with us. 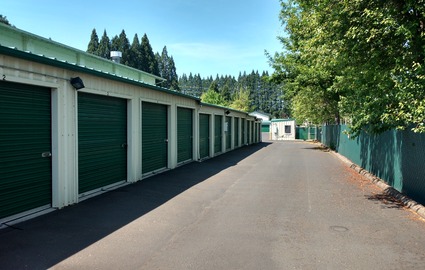 We take great care of our storage facility with regular cleaning and maintenance. With 24-hour security cameras, we always have our eyes on our property. You’ll enjoy a convenient experience with our dollies, handcarts, boxes, and packing supplies on your move-in day. Since we’re open from 7 a.m. to 9 p.m. every day of the week, you don’t have to squeeze us into your daily commute! 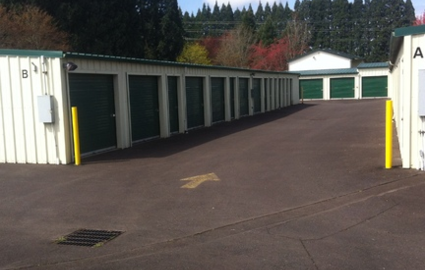 Within our fenced storage facility, we have many different unit sizes and types. Whether you’re looking for climate control, drive-up access, upstairs units, or ground-floor access, we have something for you. Our facility, located within minutes of Walmart, Bailey Hill, W 11th, Churchill High School, Target, and W 18th is filled with helpful resources and smiling faces. 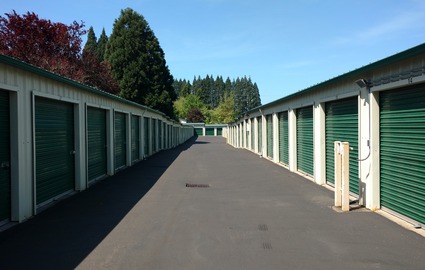 Whether you have a question about storage or you’d like to schedule a tour of our property, call our office to get started.